This design is based off our standard ATA case for the Presonus StudioLive, and adds our Tilt N' Travel option. 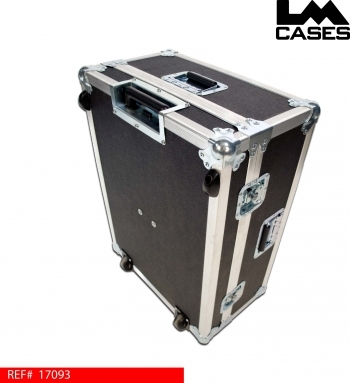 The Tilt N' Travel option is comprised of a multi stage telescoping aluminum handle and inboard dolly casters allowing the case to be rolled like a piece of luggage. Our Tilt N' Travel design is very durable and designed to be on the road. All wearable parts such as the handle and wheels are designed to be replaced in the field. We custom fabricated mounting plates to use behind the wheels allowing the wheels to be attached via a common 10/32" rack screw. The telescoping handle also follows this protocol, both parts are replaceable in the field using common items unlike many other designs that feature riveted parts that can only be replaced by the manufacturer if the end user does not have access to a riveter. To cut down on the wear and tear of the wheels, we mounted them between the corners. This allows the corner to take the abuse and not the wheel, which makes the wheels last much longer. 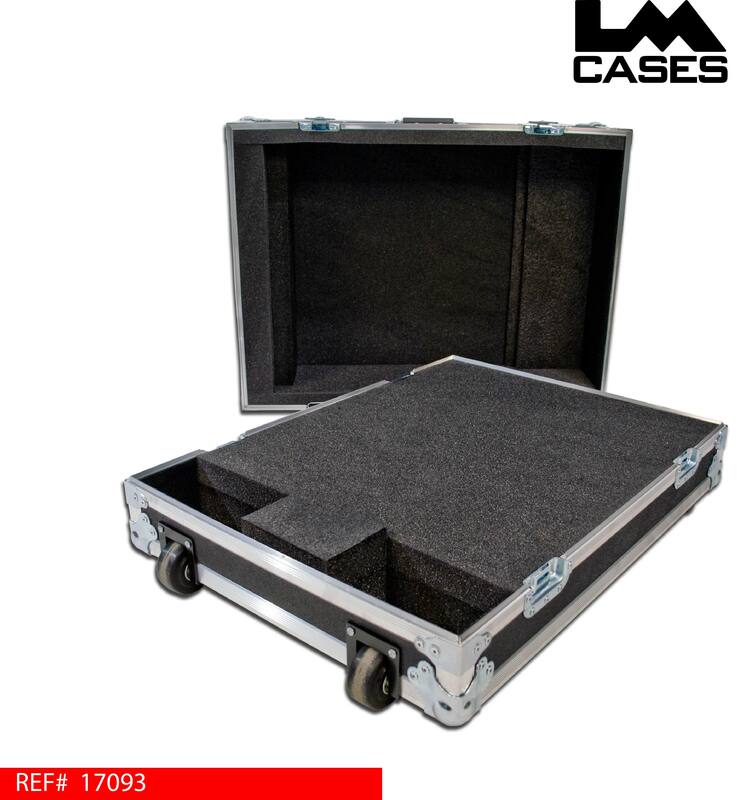 The case features a 1" foam lined interior and three recessed handles. There is also a storage space behind the console for accessories.